What’s the inner life of a cow? 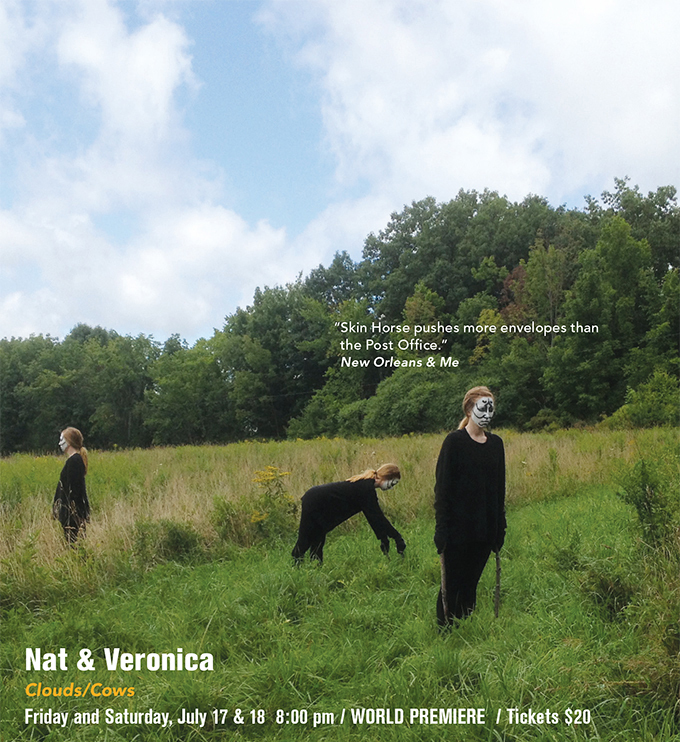 Clouds/Cows explores the pastoral timescale and the endangered art of zoning out. Part one, Clouds, combines live, choral performance with large-scale, living sculptures, immersing audiences in a collective daydream. Part two, Cows, presents a funny and tender portrayal of a year in the life of three domestic bovines. At turns arresting and irreverent, Clouds/Cows pokes subtle fun at the way humans organize their lives, and invites us to ruminate on the velocity of our contemporary culture. Award-winning New Orleans theater artists Nat Kusinitz and Veronica Hunsinger-Loe are co-artistic directors of the groundbreaking Skin Horse Theater and recent artists-in-residence with the Live Arts Bard program at Bard College.